Homemade vegetable snacks that can be flavored any way you’d like. Preheat oven to the lowest setting it will go, 170F for most ovens. Line a baking sheet with parchment paper. 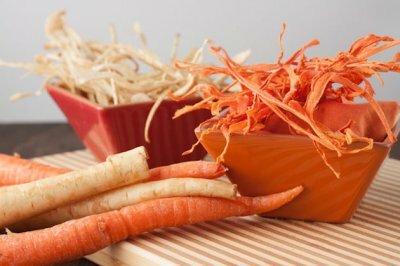 Wash the parsnips and carrots and remove their tops and tails with a sharp knife. 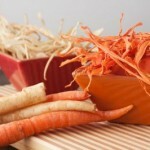 Using a vegetable peeler, shave the carrots and parsnips into long strips. Place all of the strips into a bowl and toss with remaining ingredients. Lay flat on prepared baking sheet. Bake for 3 hours or until crisp. Alternatively, dehydrate at 130F for 5 hours.